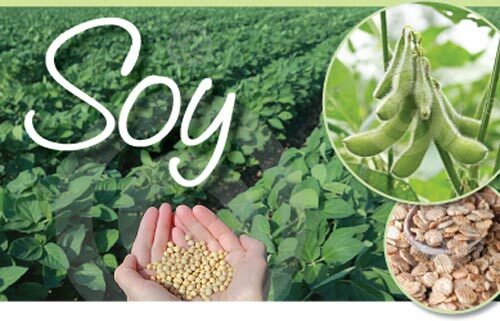 Soy comes from the pods of the soybean plant, from the same family as other beans, peas and clover. After harvesting, the beans are cleaned, cracked, de-hulled and rolled into fl akes. The oil is extracted from the flakes and purified ed to give pristine soybean oil, which is then solidified. The last step of the wax’s journey is to be melted again and poured with fragrance into jars and moulds, to make soy candles and melts. Pure soy candles are made from sustainable and biodegradable plant-based soybean oil, and are vegan friendly. They are not a by-product of the petrochemical industry, unlike standard candles. NON-TOXIC ~ The fumes are non-toxic – say goodbye to petrochemical fumes! CLEANER BURN ~They burn cleanly with minimal smoke and very little soot. LONGER BURN TIME ~ They burn more slowly than paraffin candles, increasing the burn time by up to 50%. WATER SOLUBLE ~ Soy wax is water soluble, any accidental spills can be cleaned up easily with soap and water. SAFETY ~ Soy wax burns at a lower temperature and is a safer option.